Back in May I had the pleasure of photographing Deepika and her lovely family! When she brought up the location we would be shooting at my jaw dropped, straight to the floor! The venue was extravagant! 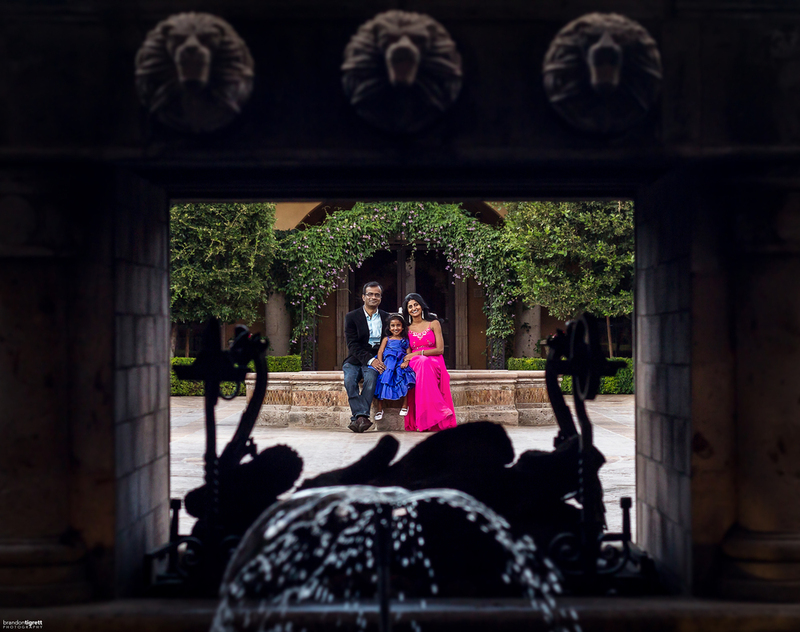 I had never shot in such a beautiful location for a family portrait session before. The location I'm referring to would be Villa Siena! Deepika wanted pictures of her family together, but the main focus being her and her lovely daughter. They wore beautiful long flowing gowns at first, then changed into very traditional Indian dresses. The colors of their traditional dresses were amazing! It was really a dream to shoot. All 3 factors came together to make this a perfect family shoot. Amazing wardrobe, location and family!